How does activism impact the practice of Urban Planning, Architecture and Landscape Architecture? Lunchtime panel/town hall with short introductory presentations. Student participation/discussion facilitated by moderator. This event is free and open to the public. 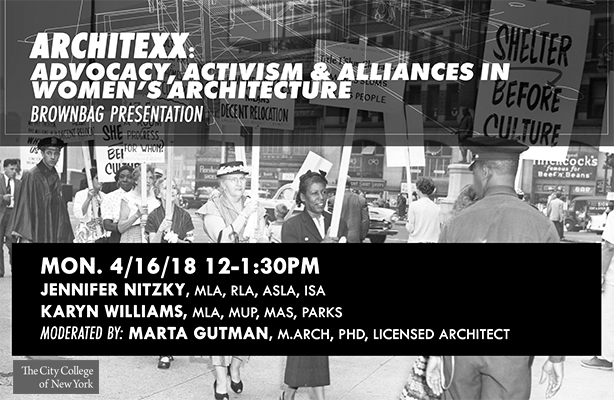 In the face of adversity women in architectural practices must decide how to respond and ultimately engage in the social movements of their time. How does the design process navigate and foster collective efforts toward justice, equality, and liberation? 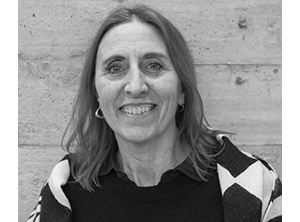 Jennifer is a Landscape Architect and Certified Arborist with over 20 years of experience in urban planning and design, park and recreational design, playgrounds, and campus design. She is skilled in community-oriented planning and design processes leading workshops, design charrettes, and hands-on activities. In partnership with the New York Chapter of ASLA and the Trust for Public Land, she developed The Student Stewardship Program, which aims to inspire NYC students to discover landscape architecture through engaging, hands-on projects. She is passionate about expanding awareness of the profession and is a strong advocate for landscape and environmental issues through social media outlets. Her love for plants and planting design is a driving force for inspiration and spiritual balance in life – taking a break from the hustle of city living to take plant walks and experience natural and designed landscapes whenever possible. Karyn is the Assistant Director of Planning and Programs with NYC Parks GreenThumb with 15 years’ experience as an urban planner and landscape designer. Before joining the Parks Department, she worked at the Municipal Art Society where she led community-based initiatives in Brownsville as well as Livable Neighborhoods Program. Karyn has also worked as a landscape architect at Quenelle Rothschild and Partners where she worked on the redesign of public parks and campus master plans. Karyn started her career working as an urban planner in Baltimore and worked on large scale urban redevelopment projects. Karyn holds a B.A. in International Development Studies from Trent University, a Masters of Urban Planning from McGill University and a Masters of Landscape Architecture from the University of Toronto.